Summer keeps rolling along and I have been super busy. I have been working on a lot of projects that will help people learn more about Copic markers. Yes, that's my job, to help people feel creative and discover their own talent for coloring. I hope you have also spent your Summer being creative. Whether it is in art, gardening, home decor, writing, or teaching. There really isn't anything I'd rather do than be creative or teach others how to be creative. Like this doodle I made this morning, I am here to be creative! So, as part of my creative summer, I have scheduled a few great FREE events here in Oregon. Saturday, July 26th I will be hosting a Free Make 'n Take and book signing from 1-2pm at Main Street Stamping and Stationary in Tigard, OR. Saturday, Aug 16th Kids Create! Eugene festival. 11-3pm, at the Hult Center/Hilton Eugene. I will be hosting Manga Drawing/Coloring Demos. As Summer keeps rolling along, I will have more free events and convention appearances, so keep tuned in. Meanwhile, you should register for one of our great workshops or certifications. We just revamped all the Certification Training . 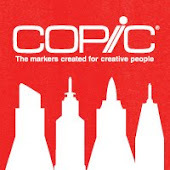 There are many Copic Certifications and Workshops coming up. 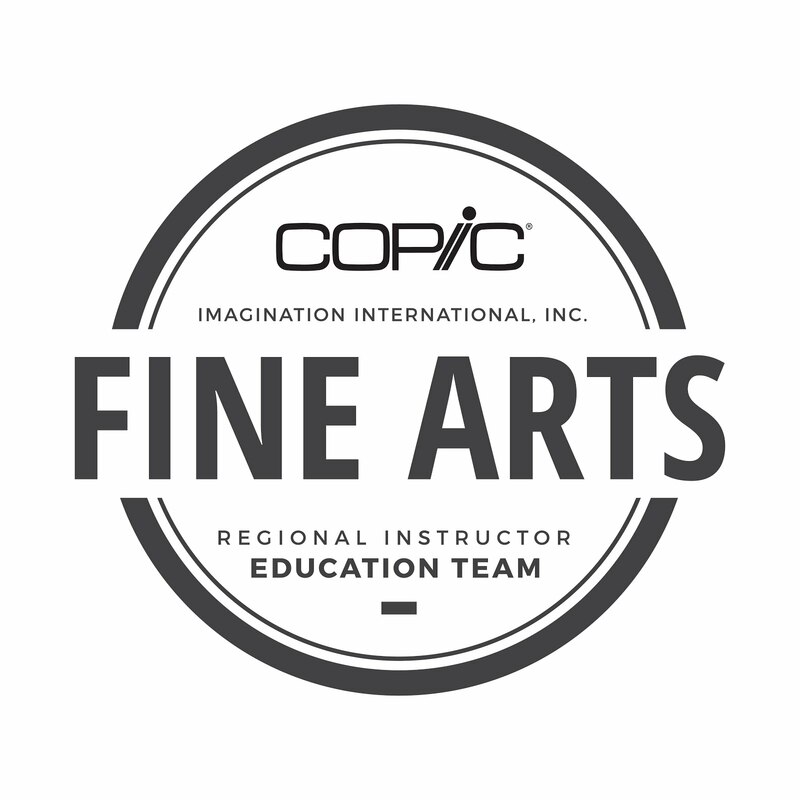 Visit the Copic website for registration and class details. 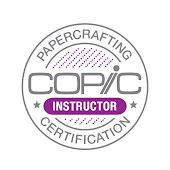 The Copic Papercrafting Instructor and Design Teams are so excited to add a new instructor to our fabulous team… Michelle Houghton! Michelle has done a number of special events and demos for us over the years and we are thrilled to finally have her on our teaching team. Michelle has a BS in Fine Arts and an MA in Teaching with years of experience teaching high school art, live workshops, and online crafting classes. Michelle likes to work with a variety of mediums and styles, often experimenting and looking for unique and interesting ways to use them. We look forward to working with her and can’t wait to see her in action! And of course we can’t have a celebration without gifts… so we are giving away some great Copic prizes! Join us in welcoming Michelle by visiting each of the blogs listed below for a chance to win. 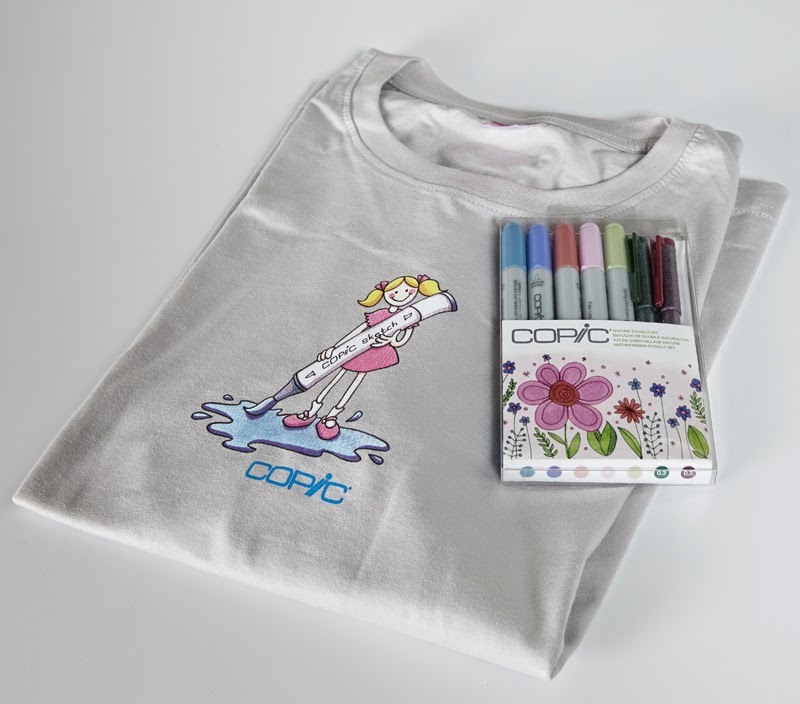 Don’t forget to leave some love at each blog because EACH TEAM MEMBER will be giving away a Copic T-Shirt and a 7-piece Doodle Kit to one lucky winner. Commenting will close at midnight on Sunday, July 6th and winners announced on individual blogs on Monday, July 7th (Note: Prizes are limited to the US and Canada). Meanwhile, if you are heading to Anime Expo this weekend, be sure to visit me in the Copic room, #507. The room will be jam-packed with fabulous things to do, prizes to win, and awesome new workshops. I can't wait to see you there!